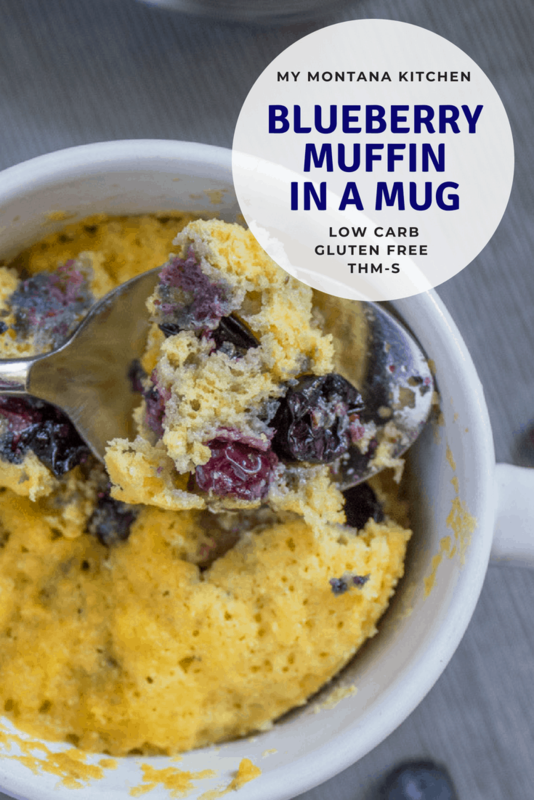 Not only is this Blueberry Muffin in a Mug low carb (only 8 net carbs per serving), it is also dairy free, gluten free, full of fiber, and a Trim Healthy Mama S Recipe. Blueberries are high in antioxidants (higher than blackberries and strawberries). Great for weight loss (1 cup of blueberries is low in calories but has over 3 grams of fiber). May improve memory and cognition – they are good for your brain! 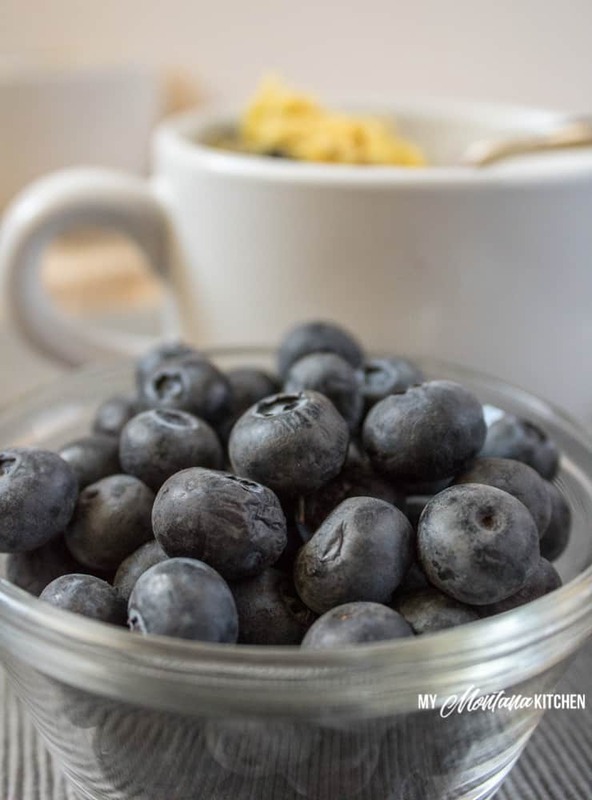 Because of their high antioxidant content, blueberries can help reduce inflammation. Supports digestion (that high fiber content is good for your digestive tract)! One serving has 36% of your suggested daily value of Vitamin K! I hear requests over and over again from my readers . . . we need easy recipes that do not require a lot of ingredients. BINGO! This recipe fits that perfectly – only a handful of ingredients and it takes less than 5 minutes to make. The greatest amount of time will probably be spent pulling the ingredients out of your pantry! In a hurry to get out the door in the morning? Need a quick afternoon snack? 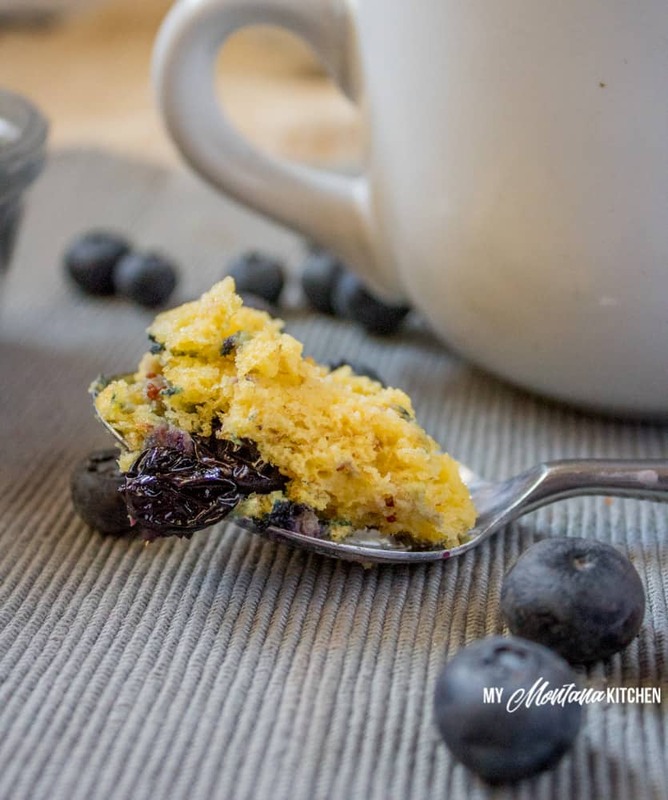 This single serve Blueberry Muffin is perfect for you! If you are a Trim Healthy Mama, you probably already have all of the ingredients needed for this recipe right in your cupboard. And don’t worry, if you are not a THM (or if you do not use special ingredients), I have some substitutions below just for you! And thanks to wholesome, clean ingredients, this muffin has 13 grams of protein all on its own. 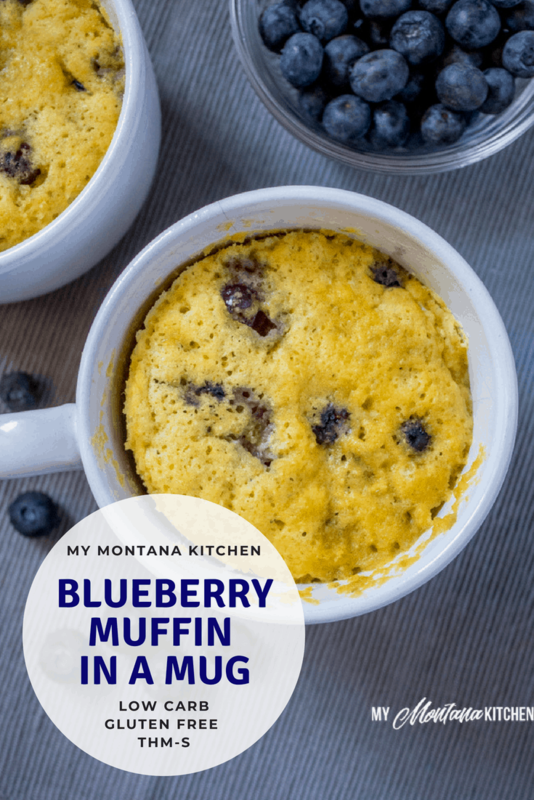 But if you feel you need more protein, you can pair this muffin with some cottage cheese or Copycat Vanilla 000 Yogurt and berries. Personally, I love the fact that this muffin is a single serving. I can whip one up in less than 5 minutes, and enjoy a delicious, guilt free treat! However, if you want to make more than one, it is easy to mix up two mugs at a time, then just cook each one for 70 seconds. 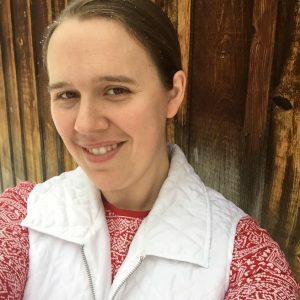 I’m sure there will be requests for a larger batch of blueberry muffins that can be baked in the oven, so I will add that to my list of recipe tests. But for now, I’m loving the fact that I can make a “baked” treat without turning on my oven! If you want, you can eat this muffin while it is still warm, but I prefer to let mine cool a bit before I dig in. I have tried it both ways, and found I personally like it best at room temperature. I debated whether or not I should add a frosting or glaze, but I decided to just leave it simple. If you do want something to go on top, you can make a simple glaze of ½ Tablespoon of Gentle Sweet and ½ teaspoon of water. Or if cream cheese is more your thing, mix 1 Tablespoon of softened cream cheese with ½ Tablespoon of Gentle Sweet and a dash of unsweetened almond milk. 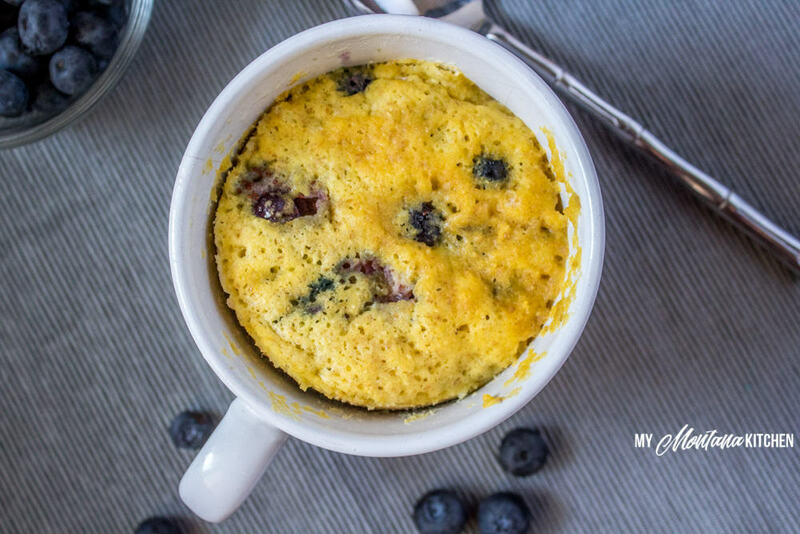 If you love the lemon/blueberry combo, you could add in a touch of lemon zest to brighten up the flavor of this low carb muffin. If you do not have access to fresh blueberries, I believe you could use frozen just as well. However, frozen blueberries can sometimes turn the batter purple, so just be aware of that! Trim Healthy Mama Baking Blend is a great product to keep on hand for low carb baking, but if you do not have it, you can use a blend of equal parts almond meal, coconut flour, and flax meal. Gentle Sweet is by far my favorite low carb sweetener, but my Low Carb Powdered Sugar measures the same, and works great in this muffin. Or you can use half the amount of Pyure in place of the Gentle Sweet. Pyure can be found at most Walmarts and grocery stores. Spray a large mug with coconut oil spray. Add remaining ingredients and mix until well incorporated. Microwave for 70 seconds, then enjoy. If you do not have Gentle Sweet, you can use my Low Carb Powdered Sugar in the same amount, or Pyure in half the amount. You can use an equal mix of almond flour, coconut flour, and flax meal in place of the Baking Blend. And if you want to bake it in the oven, pour into a greased oven safe ramekin or oven safe bowl and bake at 350 degrees for 10-15 minutes. Delicious!!!!! My son is having it for brft right now. He says it tastes like cake. Had this yummy treat as part of my lunch. I used frozen blueberries and had to cook about 1.5 minutes because of that. I only used 1.5 TBLS of Gentle sweet and next time I will only use 1 TBLS I topped mine with a little bit of butter. This recipe is easy and tasty! Thanks Sarah! I love MIMs! And this blueberry one is perfect for when I don’t feel like turning on the oven! Decided to try one for breakfast today, yummy! I opted to add a little lemon zest and had to bake for 80 seconds, otherwise made the recipe exactly as printed. At first I thought it would be dry and resisted the impulse to add some liquid, but hoped the fresh blueberries would moisten it up and it baked up perfectly! Resisted the urge to add the cream cheese frosting…. but that sounds good! Could I prep and freeze ? Yes, you should be able to freeze them! This was delicious! I had some fresh blueberries to use up and made 2 of these. They were great! I did slightly reduce the amount of gentle sweet (and may go with even less next time) and also microwaved a little longer- but we made ours in a bowl instead of a mug, so they were microwaved 90 seconds each. Great and easy recipe!